Science used to be tricky. 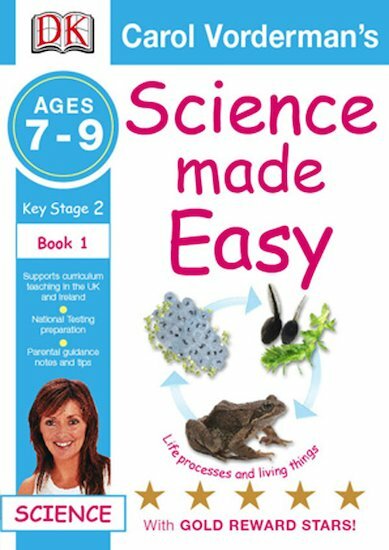 Now it’s easy – when you do it Carol Vorderman’s way! This home-study workbook is the ideal way to get your science up to scratch. Work through each topic at your own pace, filling in each section and progressively building up your skills. Do the exercises, and then reward yourself with a gold star sticker! You’ll be top of the class in no time! In this book on living things you’ll find out which foods help you grow, which animals live where and more. And if you need a little bit of extra motivation, just reach for the progress chart!